Why is the European Union important, what are its challenges and how can it function more effectively? 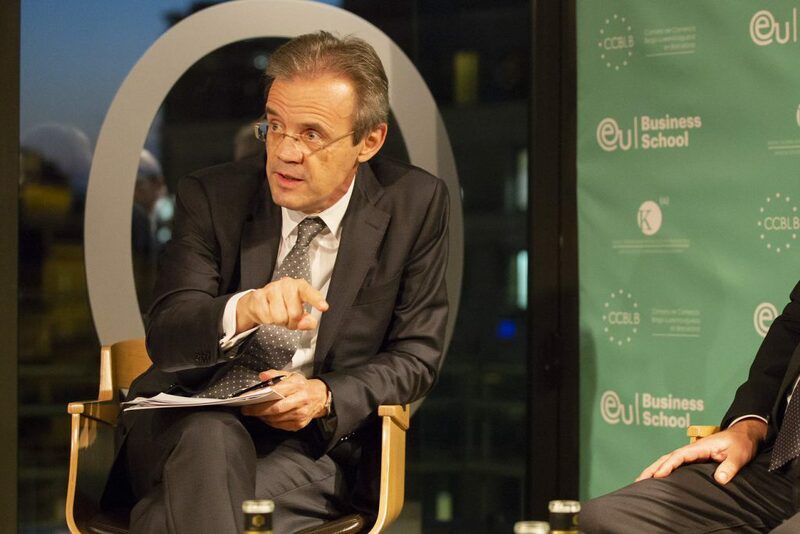 Guy Verhofstadt, former prime minister of Belgium and president of ALDE, and Jordi Gual, chairman of CaixaBank, shared their views on the European Union at a round table event organized by EU Business School, the Dutch Business Association De Kring and the Belgian-Luxembourg Chamber of Commerce in Barcelona. To mark the 70th anniversary of the creation of the BeNeLux Union, EU Business School, in proud partnership with the Dutch Business Association De Kring and the Belgian-Luxembourg Chamber of Commerce in Barcelona, held a round table discussion in Barcelona to discuss the challenges and opportunities that face the European Union (EU) today. Two distinguished and knowledgeable speakers were invited to participate in the round table: Mr. Guy Verhofstadt, former prime minister of Belgium and president of ALDE and member of the European Parliament, and Mr. Jordi Gual, chairman of CaixaBank and former economic advisor to the European Commission. Mr. Gual played an integral role in the conception and implementation of the Euro and Mr. Verhofstadt was the European Parliament’s representative for the Brexit negotiations. The round table was moderated by Mr. Lluís Amiguet, an award-winning journalist at La Vanguardia. Against the five-star backdrop of the Hotel Omm in Barcelona, the distinguished guests shared their expertise, and offered a privileged insight into the workings of the EU. The conclusion of the round table discussion was that member states should work more closely together in order to confront the challenges currently facing the EU, and streamline business processes, particularly in the digital market, to ensure the future economic prosperity of the member states. The speakers pointed out that, although the EU has faced often harsh criticism, Europe still enjoys the support of 66 percent of member states. In Denmark, for example, 88 percent of the population view their European identity positively. 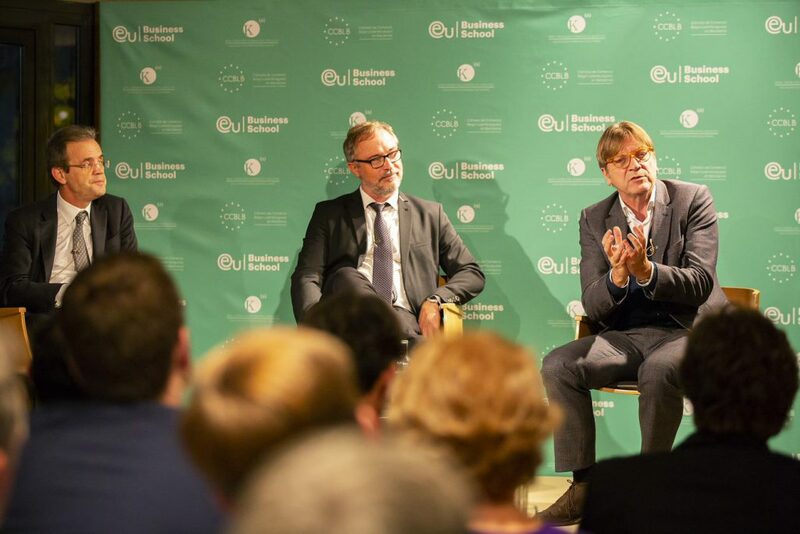 In general, Mr. Verhofstadt said, most members acknowledge the benefits of being part of the European Union and are enjoying the advantages of the Euro and the single market system. Mr. Gual highlighted strongly that being part of the European Central Bank (ECB) has significantly helped to palliate the consequences of the crisis and hence should be protected as an entity. The speakers agreed that the current economic climate in the European Union is conducive to increased growth and prosperity for all member states, as well as for international companies who wish to do business within Europe. However, the guests also recognised that the EU is facing significant challenges, including Brexit and the rise of nationalism and populism. 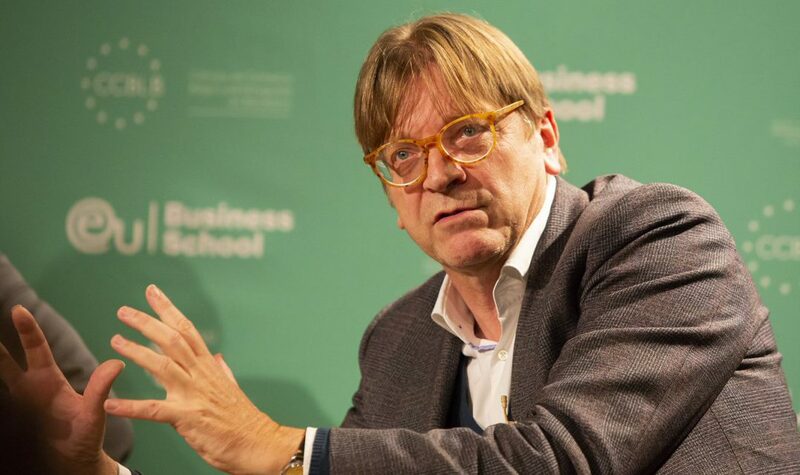 The EU must act unanimously to confront these challenges, urged Verhofstadt, who believes that “Europe acts too little, too late” because member states put national interests above the collective aims of Europe. Moreover, the need for unanimity slows down decision-making. He stated that the EU’s core countries should ensure they follow the same policies. To overcome slow processes and to ensure that decisions are taken, Mr. Gual proposed an ingenious new model for the EU: concentric circles. This would involve groups of states that establish mutually beneficial partnerships with the core states of the European Union, but do not form part of the EU itself. This concept is supported by the European Parliamentarian Mr. Verhofstadt, and it spurred on discussions about the ways to move forward. “Reforms will take place after the elections in 2019,” foresaw Mr. Gual. Although Europe is now recovering from the 2008 economic crisis, investment and employment levels remain below pre-crisis levels. According to the speakers, one of the main areas that should be developed is the digital market. Mr. Verhofstadt attributed the lack of a digital market in Europe to several causes: the EU still lacks a digital model, there is no single regulator, and the European monopolistic model is used because there is currently no alternative. According to Mr. Verhofstadt, there is too much red tape and bureaucracy. This pushes businesses to invest time and money in other markets, where it is simpler and more straightforward to launch products. 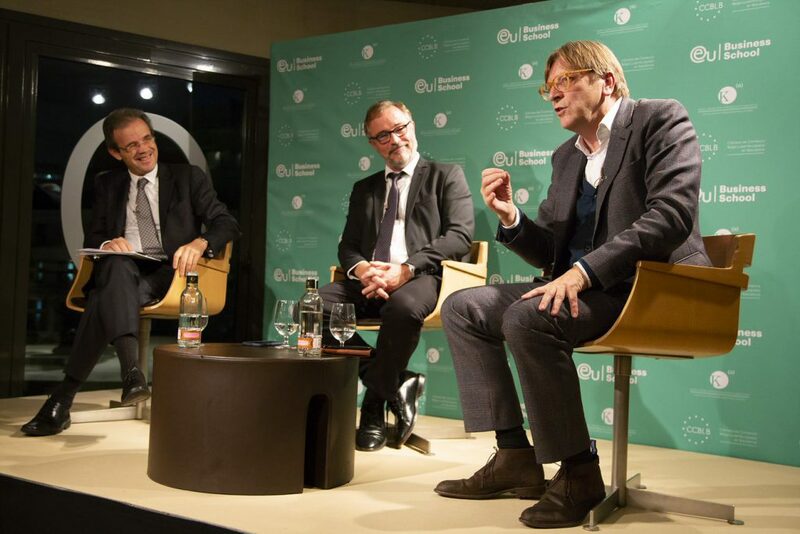 Mr. Verhofstadt said that Spotify is a prime example of Europe losing a business due to excessive bureaucracy. 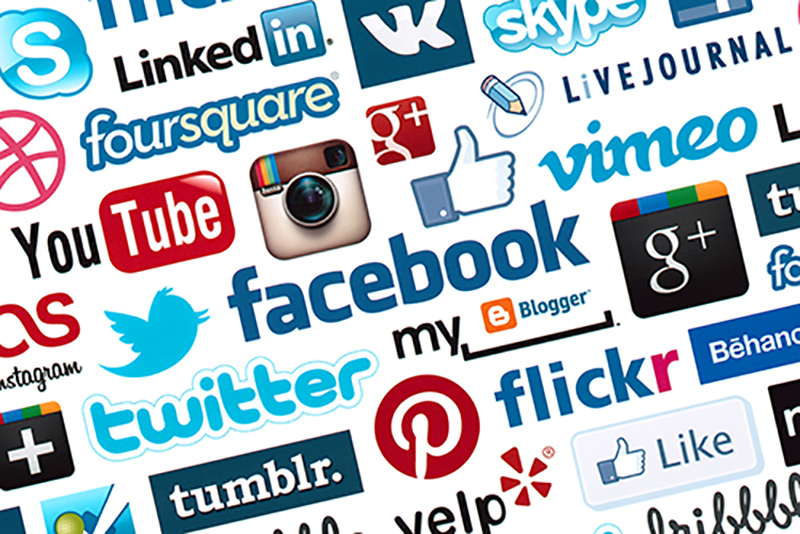 He explained that an app developer in the European Union must first acquire the approval of 28 national authorities, then negotiate deals with each of the various mobile operators. As a result, businesses prefer to set up operations in countries with streamlined approval processes. In the U.S.A., for example, companies only require approval from a single authority, and must arrange agreements with only three mobile operators. The advantages are clear! According to Mr. Verhofstadt, economic power is based on data. He believes that, if the EU is to compete with America and China, it must become more active with regard to data. The new EU General Data Protection Regulation (GDPR) is an enormous asset, he declared. He believes that now is the time for Europe to step up and take a leading role on this issue, because the GDPR will create a democratized internet—a European internet. The EU’s data protection laws are becoming the worldwide standard, he said, because other countries, such as the U.S.A., have failed to protect privacy to a degree with which the public is comfortable. Mr. Gual also stated that GDRP will become a coveted reference for privacy laws from countries across the world, including the U.S. The round table concluded that if Europe does not stand together as a unit, the individual states will not succeed in tackling major issues such as climate change. Similarly, a more integrated union is the only way forward for Europe to realise its potential as a leader in business and technology. Sectors which are currently under-represented in Europe present enormous opportunities for the future: profits can be made, which will be even greater than those of the EU’s counterparts. The EU has the capacity to create massive change within Europe, in order to make it a major player on the global stage when it comes to digital enterprise, telecoms and energy.